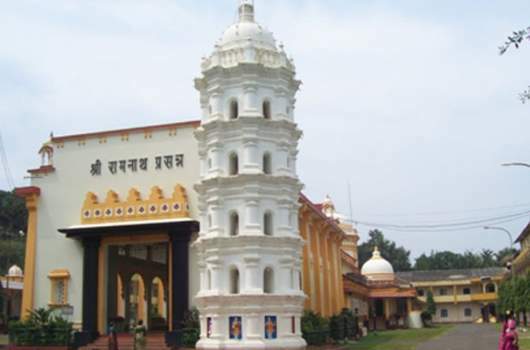 The second temple in the small village of Bandode or Bandivade as it is also known is that of Lord Ramnath. 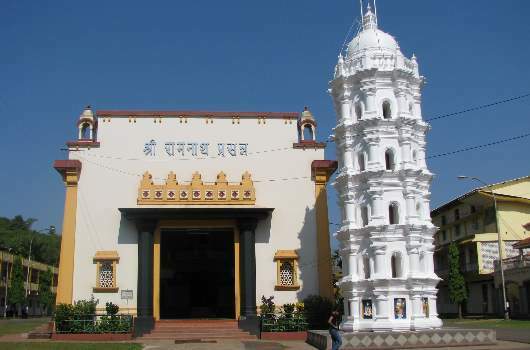 Located about 22 kilometers from the capital city of Panaji, the temple is just a few minutes away from Farmagudi, off the main road to Ponda. Legend has it that the name of Lord Ramnath comes from the place Rameshwar. It is said that Lord Rama, after slaying Ravana in the battle was filled with remorse at the killing. In order to seek redemption for his act, he installed a Shivalinga (symbol of Lord Shiva), on the shores and hence came to be known as Rameshwar or Ramnath. The idol of Lord Ramnath was initially housed in a temple at a settlement called Lotli (present-day Loutolim) which was set up by Gaud Saraswat Brahmins who had migrated from Rameshwar on the southern shores of India. Lord Ramnath, like many other deities in Goa, was removed from the original temple at Loutolim and smuggled away to its present day abode of Bandivade, to avoid persecution by the Portuguese regime. Bandivade was under the control of Bijapur at the time. The temple also houses other deities viz. Shri LaxmiNarayan, Shri Kamakshi, Shri Santeri and Shri Sidhanath. Unlike most temples in Goa, the sabhamandap (grand hall) of the temple has no pillars and yet has a special gallery for the ladies. There is a five-storied deepstambha (lamp tower) in the courtyard with images of Hindu saints carved on its base. The door to the inner sanctum has some exceptionally beautiful scenes depicted on it in silver metal. Once scene depicts devotees worshipping a linga, and the other shows Lord Vishnu with his consort Lakshmi sitting on his couch of a coiled snake. The annual festival or Jatra of the temple is celebrated with pomp and gaiety by the devotees with the traditional palakhi (palanquin) parading around the temple carrying the idol of the deity.